Or... why not to start planning your next cruise to the High Coast? One of the best green breaks, in your cruise discovering the High Coast, is a visit to the National Park of Skuleskogen. The National Park designation is the best a nature area can receive, as well as unique locations of outstanding natural beauty which ensure that nature can be fully experienced. 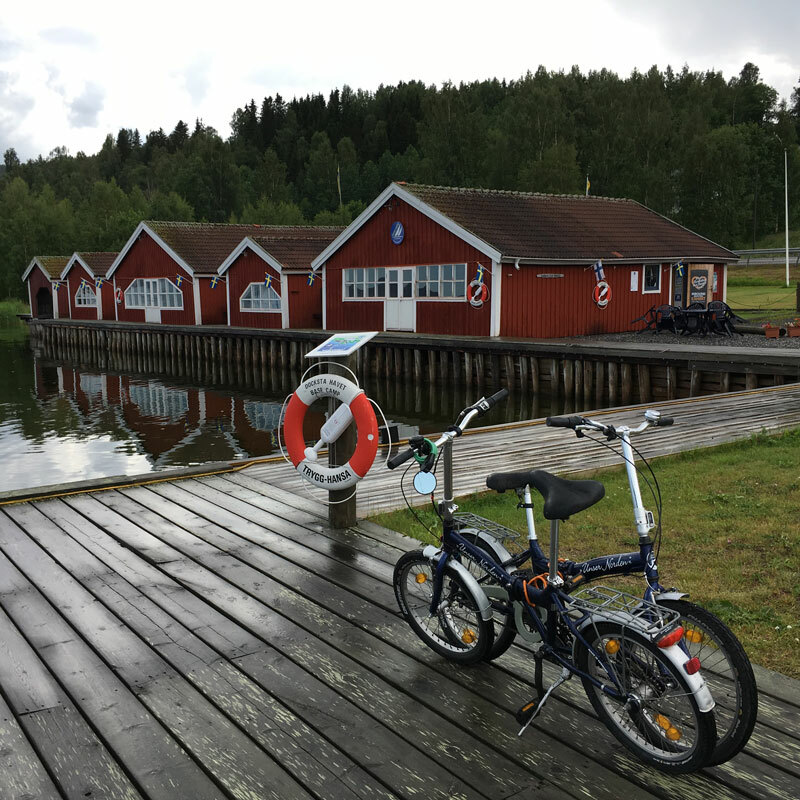 Skuleskogen is close to Docksta Havet Base Camp so - walking or biking from the piers - it's a fantastic destination after your days of serious sailing around the coast! The views over undulating forest and the sea. The Kalottbergen mountains and their forested peaks and bare slopes. Location: Approximately 40 kilometres south of Örnsköldsvik in Örnsköldsvik and Kramfors municipalities, Västernorrland County. Visiting Skuleskogen: Signs on European Highway E4 show the way to the national park. There is an access road from the south via Käl, and from the north via Näske. 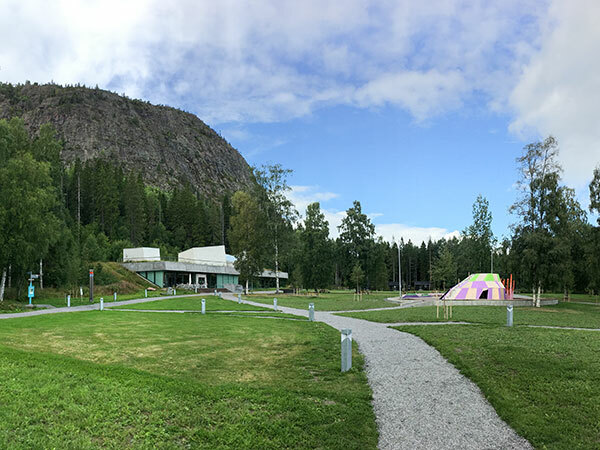 The High Coast Visitor's Center (Naturum Höga Kusten) provides an introduction to the park´s human and natural history. There are 30 kilometres of hiking trails, as well as three sleeping cabins and two shelters that are open year around. Skuleskogen National Park is a wild and majestic section of Ångermanland’s “High Coast”, where the rolling hills of the Norrland forest meet the northern Baltic Sea. 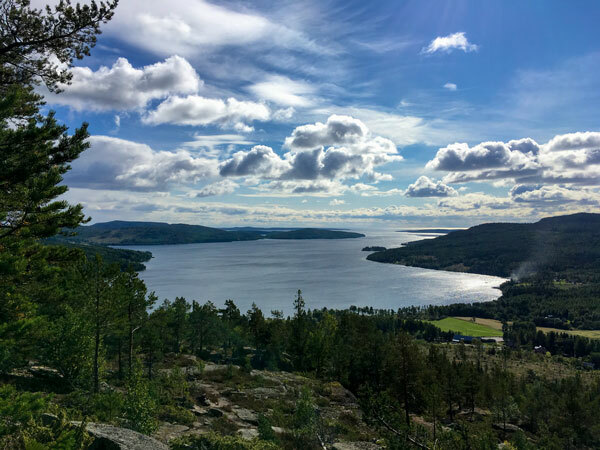 This roadless wilderness offers the visitor magnificent views over sea and forest, beautiful lakes, verdant spruce-clad valleys, and fascinating geological formations which, more clearly than anywhere else, demonstrate how much of modern Sweden has risen from the ancient sea. Skuleskogen National Park (1984) and Nordingrå Nature Conservation Area (1983) are classified Category V - Protected Landscape/Seascape: protected area managed mainly for landscape/seascape conservation and recreation - and defined as "Area of land, with coast and sea as appropriate, where the interaction of people and nature over time has produced an area of distinct character with significant aesthetic, ecological and/or cultural value, and often with high biological diversity. Safeguarding the integrity of this traditional interaction is vital to the protection, maintenance and evolution of such an area." Skuleskogen is a stupendous area. It combines high mountains, ancient forest and sea coast in a landscape which is without equal in Sweden. Pronounced peaks covered with windswept rocky pine forest are divided by deep rift valleys sculpted by the sea and the inland ice. There are, in spite of the deserted appearance, traces of human habitation. The oldest of these are Bronze Age burial cairns. The inland ice was unusually heavy here, and pressed the mountains down under sea level. The country has been rising from the sea ever since, to reach today's level of almost 300 metres above sea level. There are also bare boulder fields, swamps and tarns in the park. The fertile stream valleys are home to many species of bird, such as the very rare grey-headed woodpecker. Several Swedish plants have their most northerly limit in Skuleskogen, for example the decidious trees maple, lime and hazel. The trees are probably relics from warmer ages when deciduous forest was found this far north. The foremost sights of Skuleskogen are the views of the rolling forest and the sea, Slåttdalsskrevan ravine, Kalottberget mountain with its forested top and treeless slopes, the flora and the Bronze Age burial cairns. Walking is especially important to rebalance the many hours we spend sitting, working, driving or at home. And of course, after a few days of sailing, a refreshing nature walk can be a great opportunity to "break" the routine aboard. The crews of boats that target the High Coast summer, usually plan several day trips or walks on the beautiful shorelines during a cruise. 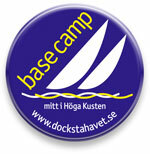 Many boats choose to stop a couple of nights in Docksta just for the opportunity to explore Skuleberget mountain. 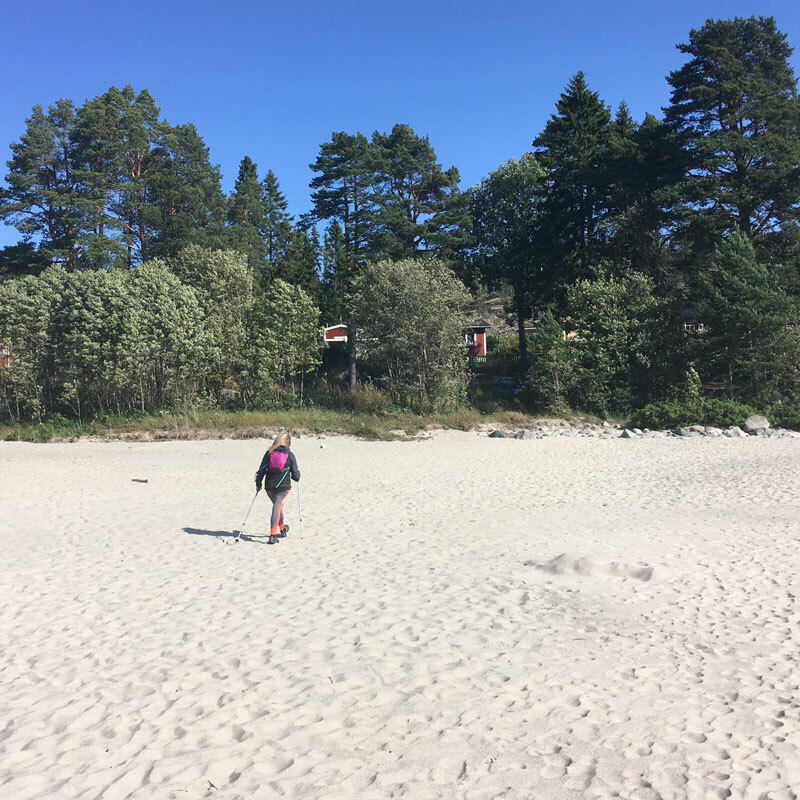 A hike to the top or to the cave, a visit the Naturum Höga Kusten Museum and the area south of Skuleskogen National Park or just the discovering of the surrounding area of Docksta are an excellent opportunity to involve the crew and the family in a different and exciting afternoon. 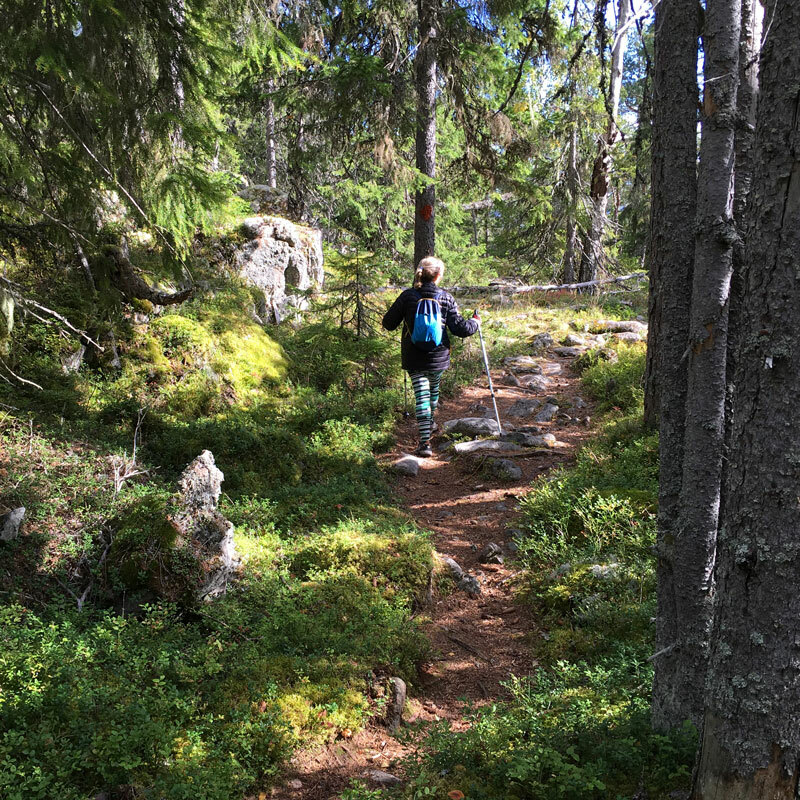 We noticed that some crews, particularly from Finland, integrate this technique of Nordic Walking into their nature walks, making use of the poles similar to those used in skiing. Nordic Walking is a form of aerobic training of great effectiveness, which involves much of the upper-body muscles as well as a great overall cardiovascular workout. It activates more core muscles than normal walking, automatically enhancing the strength, muscle power, balance, stability and increased endurance by using the poles. The technique involves "just" the inclusion of poles in the normal and natural walking. On YouTube you find several videos which - at various levels - illustrate the Nordic Walking technique and how you can experience it. The specific poles for Nordic Walking are very lightweight and come in two types; one piece non-adjustable version and telescopic adjustable versions. The telescopic poles are adjustable in length according to your height and thus can be easily placed on board. 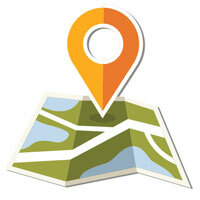 The appropriate equipment should include: the poles, normal hiking shoes and outdoor clothes for walking or trekking.